Please join us for this exclusive, once-in-a-life-time pilgrimage to the sacred sites of the Kathmandu Valley in Nepal. Led by Dr. Miles Neale and special guest Geshe Tenzin Zopa, the program offers an immersive experience into the heart of Tibetan Buddhist culture, philosophy and practice in a sacred place that is one of the last remaining sources of authentic expression. The program consists of two segments: pilgrimage and retreat. During the first leg we will be based in Boudha in the Kathmandu Valley for eight nights, from where we will take daily pilgrimage excursions to the sacred sites associated with Padmasambhava (Guru Rinpoche). This eighth century master, known as the "second Buddha", was responsible for the first transmission of the Dharma to the Himalayan region and is celebrated in many legends for his mystical accomplishments. Along with expert, native English speaking, historical guides, Miles will lead you through daily practices and intermittent teachings along our route to various monasteries, ancient temples, meditation caves and holy shrines. Beyond the pilgrimage tour you'll have one full day and most evenings free to discover and savor the diverse and plentiful attractions of Kathmandu, including sacred sites like Pashupatinath, vibrant markets, museums, exotic local foods and exquisite architecture. 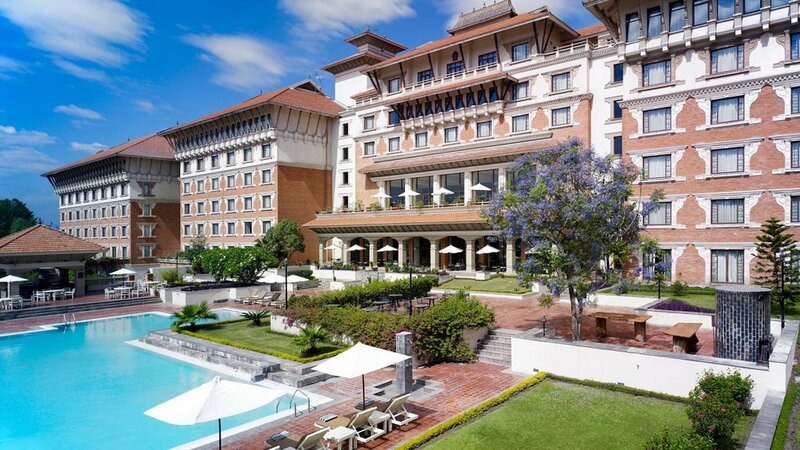 The first eight nights will be spent at the luxurious HYATT REGENCY KATHMANDU with picturesque views of the Boudhanath Stupa, right at our doorstep. Enjoy a daily complimentary breakfast before our practices and excursions and then relax from your long day by enjoying all the amenities a five star hotel can offer. Please review our pilgrimage brochure below and all the links provided on this site for further details before contacting us with an inquiry. After registering and reserving with a deposit, you will receive a detailed packet of information that includes our itinerary, notes on health and safety, packing recommendations, suggested reading, and all our required forms and documentation. During the second leg of our journey, our group will relocate to Kopan Monastery situated in the hills above the Valley. It is the seat of the renown Lama Zopa Rinpoche. There, we will live amongst the monks during an intensive week-long meditation retreat led by the incomparable Geshe Tenzin Zopa featured in the documentary Unmistaken Child. This is an extremely rare and precious opportunity to receive teachings, meditation instruction, and blessings from one of the most pure masters of the current generation. The last eight nights of the journey will be spent at Kopan Monastery. Kopan offers single and double occupancy rooms that are modest by design. Here, you will have the opportunity to enjoy the breathtaking meditation hall, tranquil stupa garden, extensive library, and picturesque views. Three delicious vegetarian meals per day are included in your stay. There is also a cafe and general store on site. Please note: For those who select a single room occupancy for the pilgrimage and pay the supplementary fee, we can only guarantee a private room during the first leg at the Hyatt Hotel. We will do our best to secure you a private room at the Monastery. However, this is ultimately determined by Kopan staff. Please also note that this is a monastic environment that requires abstinence from alcohol and tobacco. Couples will be assigned to separate rooms. Please review more detailed information about the five ethical precepts that we will be attending to in the information provided below. We strongly encourage you to carefully read all the information provided on Kopan's VISITOR GUIDE before you contact us with further logistical inquiries. Our Pilgrimage coincides with the release of Miles' new book Gradual Awakening: The Tibetan Buddhist Path of Becoming Fully Human (Sounds True, 2018). Kopan Monastery has been selected as an auspicious site for the book launch because in 2006, this is where Miles first met Geshe Tenzin Zopa and completed the month long Lam Rim retreat. All author proceeds generated from sales of Gradual Awakening, as well as a portion of our pilgrimage, will be donated to the nuns of Kopan Monastery. Our aim is to meet with the nuns while on retreat and to use the book as a vehicle to start a campaign of awareness that will further support their study and pursuit of enlightenment. Kopan Nunnery is one of the largest nunneries in the world and is among only a few that confers the geshe-ma degree (Doctorate of Divinity) which empowers women to be the next generation of leaders. We hope meeting with the nuns will inspire you to get involved in the campaign, and to offer whatever talents, resources, and networks you might have available to promote the book and the Nunnery. For more information please visit KOPAN NUNNERY. 3. After you hear back from us, complete all our forms and pay off your balance.